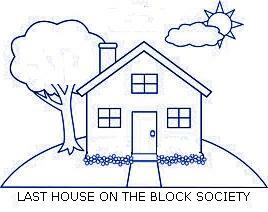 Last House on the Block Society is a nonprofit organization located in Dartmouth, Nova Scotia, Canada. It was created in the fall of 2012 and incorporated under the Societies Act of NS in November of the same year. Its mission is to act as a community outreach to persons in recovery from addictions, abuse and homelessness. In the winter of 2013, we started a donation project known as Santa Under The Bridge. Our volunteers hand-knit diversity scarves which we then donate to community organizations, along with purchased items (tuques, thermal socks, toiletries, candy, and a christmas card). During the first few weeks of December, our volunteers (usually members of the Board of Directors) dress up as Santa's elves and deliver the gifts. In 2013, we delivered 40 gift packs. As a result of media attention, donations from the public, various fundraisers conducted by ourselves and by friends of our society, plus partial funding received from the Dartmouth Community Health Board's Community Development Fund, we were able to deliver 190 gift packs in 2014. In total, we donated to 15 community organizations. Our project for 2015 was sponsored by the Abenaki Aquatic Club, the Dartmouth Community Health Board, and Doctors NS. On April 4, 2016, co-founders Bernie & Nancy Schultz were the recipients of the NS Provincial Family Volunteer Award. A large part of the volunteer work they do is with Last House on The Block Society. In 2016, we started a second project called The Jellyfish Project. Our volunteers crochet jellyfish novelty items. We sell them at craft shows and through social media to raise money to purchase yarn to knit the scarves. We also take a dollar from the sale of each item and donate it to organizations like Feed Nova Scotia. More info on that can be found at our jellyfish page on Facebook. We recently created a project page on Facebook called Santa Under The Bridge This page contains updates and photos specific to the Santa Under The Bridge Project. Last House On The Block Society would like to thank the organizations which have provided us with funding in previous years.